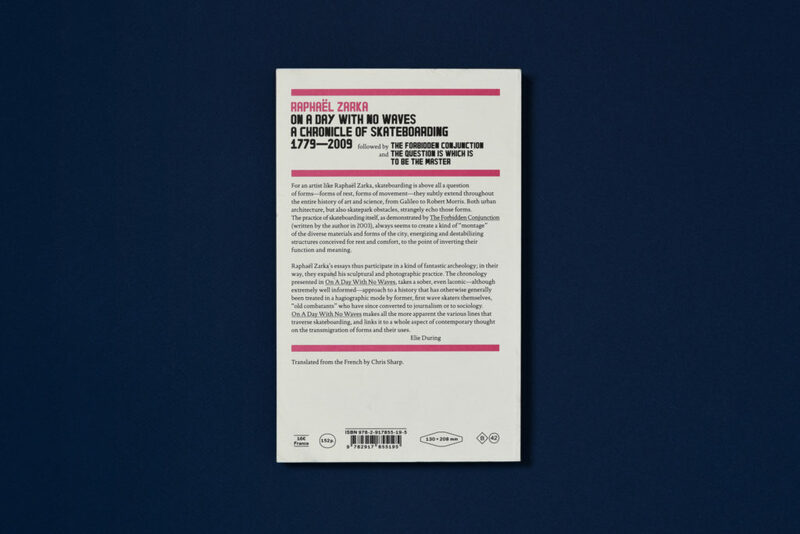 This is an updated edition of On a Day With No Waves – 1779-2006, published in 2006. Translated from the French by Chris Sharp. For an artist like Raphaël Zarka, skateboarding is above all a question of forms – forms of rest, forms of movement – they subtly extend throughout the entire history of art and science, from Galileo to Robert Morris. Both urban architecture, but also skatepark obstacles, strangely echo those forms. The practice of skateboarding itself, as demonstrated by The Forbidden Conjunction (written by the author in 2003), always seems to create a kind of “montage” of the diverse materials and forms of the city, energizing and destabilizing structures conceived for rest and comfort, to the point of inverting their function and meaning. Raphaël Zarka’s essays thus participate in a kind of fantastic archeology; in their way, they expand his sculptural and photographic practice. 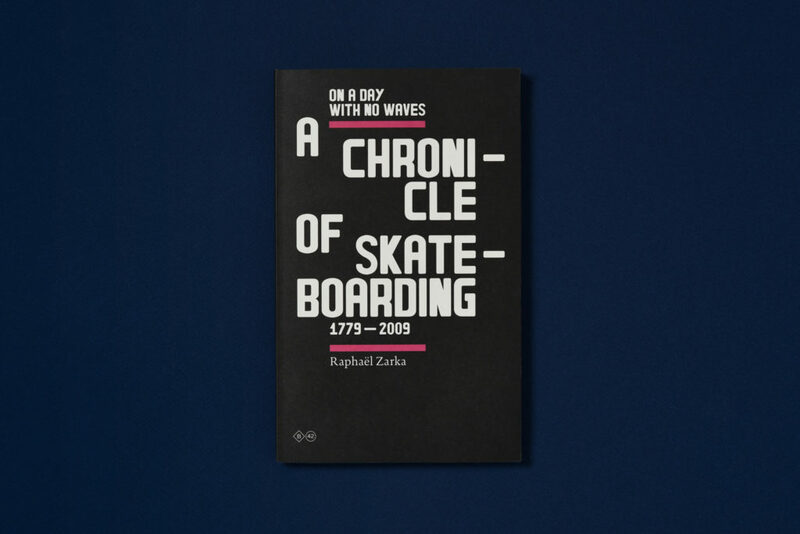 The chronology presented in On A Day With No Waves, takes a sober, even laconic – although extremely well informed – approach to a history that has otherwise generally been treated in a hagiographic mode by former, first wave skaters themselves, “old combatants” who have since converted to journalism or to sociology. On A Day With No Waves makes all the more apparent the various lines that traverse skateboarding, and links it to a whole aspect of contemporary thought on the transmigration of forms and their uses.